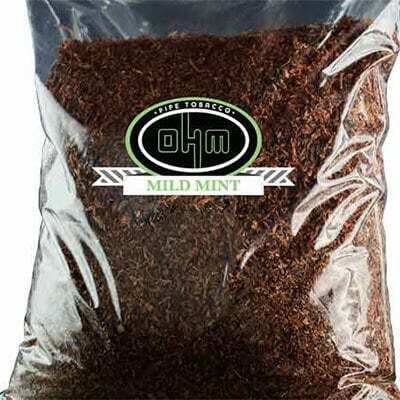 Windy City Cigars carries the OHM Gold Mint Tobacco in the 1lb and 5lb fresh-loc bags. 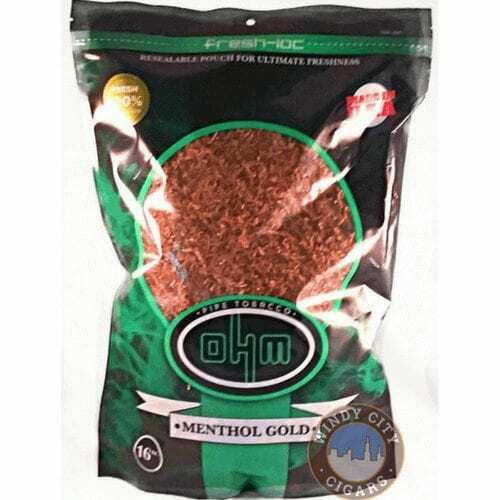 OHM (Gold Mint) Menthol Pipe and Cigarette Tobacco is cultivated from the same great tobacco leaves that all of our OHM tobacco products come from. Our exclusive blend of premium Burley and Virginia tobacco is grown right here in the United States and to our exact standards to produce a mellow blend of flavors that create a great cigarette and pipe smoking experience.